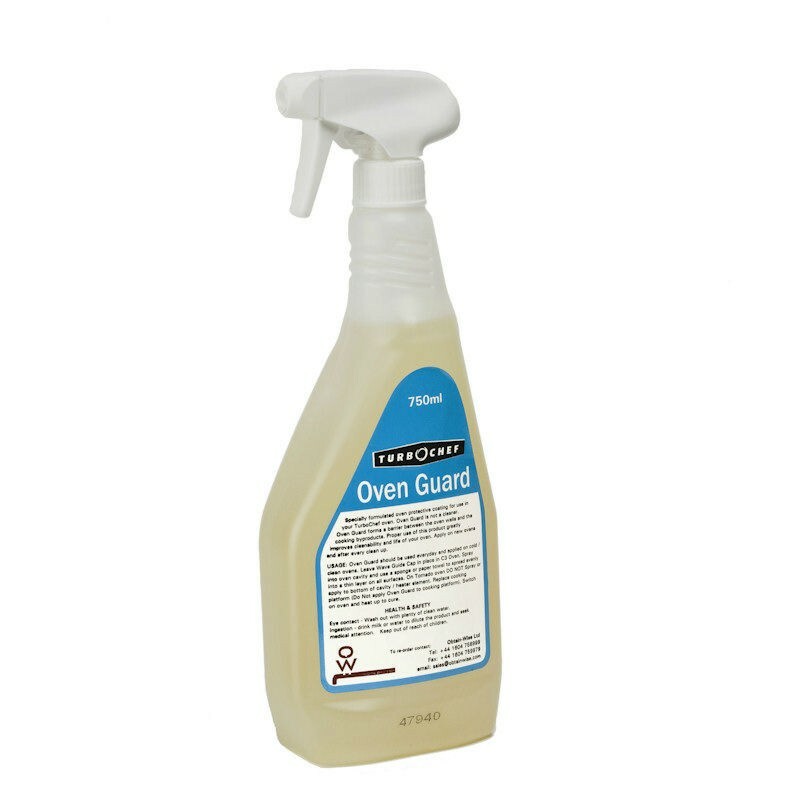 Specially formulated protective coating for use in your TurboChef oven. Oven Guard is not a cleaner but forms a barrier between the oven walls and the cooking byproducts to greatly improve the cleanability and life of your oven. Apply on new ovens and after every clean. Case of 6 x 750ml ready-to-use trigger spray bottles.